You’ve got to admit that you’ll feel better with everything in your house neatly in place. 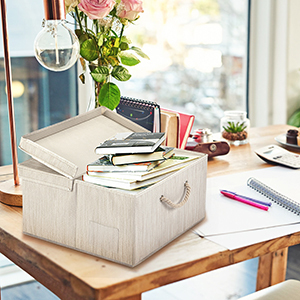 Though we know decluttering is not an easy job, MaidMAX Foldable Storage Cubes are able to bring organized home and office storage closer than ever! Stackable & Collapsible Design for Space-Saving Storage Each Collapsible Storage Box can be folded down flat to save space when not in use or for travel. 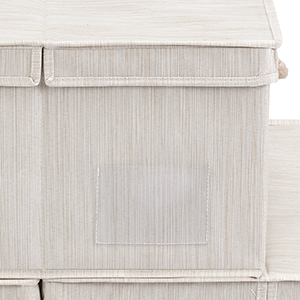 Featuring solid lids, these storage boxes can be stacked for compact storage. 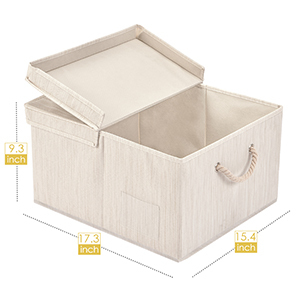 Durable Construction & Big Capacity These Stackable Storage Bins are made of breathable slubbed and nonwoven fabrics with durable cardboard inserted. Measuring 17.3″L x 15.4″W x 9.3″H each, it provides ample space to keep everything neatly in place. 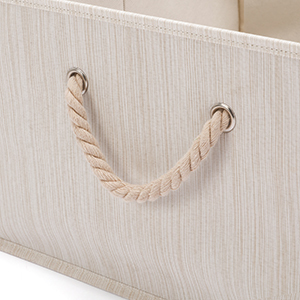 Dustproof & Damp-proof The lid effectively protects your stored items from dust and moisture. If the Lidded Storage Cube gets dirty, simply wipe it down with a damp cloth. Easy Access & Transportation With a half or full lid, label holder and sturdy rope handles, this Foldable Closet Organizer offers you quick and easy access to your stuff. 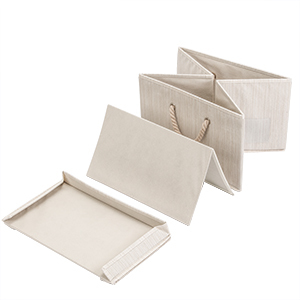 Stylish Design With simple and stylish beige design, these Cloth Organizers blend well with any surrounding décor. Notes: 1. Avoid using in damp environments. 3. Avoid touching the product with sticky or greasy hands.